Whenever You Imagine Anything It Is Real To You! Like the Bible teaches a good man out of the good treasure of his heart brings forth good; and an evil man out of the evil treasure of his heart brings forth evil. For out of the abundance of the heart his mouth speaks.Luke 6:45. Do not be deceived: God cannot be mocked. A man reaps what he sows. Galatians 6:7 Life and death is in the power of the tongue. 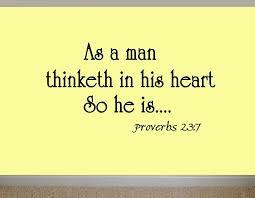 Proverbs 18:21. This is the truth that will set you free. Start now to live by faith and not by sight, Faith is the reality of what we hope for, the proof of what we don’t see. ← Never Ever Give Up!